A single transmitter that can transport up to 5 L-band signals over a single fiber using CWDM technology anchors the compact kits. The transmitter is low profile and wall mountable, no racks or chassis required for head end build out. Models are available that can also transmit CATV and SMATV programming. The products were designed to provide an easy to order, space-saving, virtually plug and play installation along with the benefit of a significant cost reduction in cost per home. Foxcom is offering the Transmit Headend as a kit available in 8, 16 and 32 node configurations. Each kit includes: Transmitter, CWDM, splitter, LGX-3 chassis and all of the necessary jumpers required to insure a working installation “out of the box”. The corresponding AL5R-3 receiver’s compact housing, is specifically designed for deployments where space is at a premium. The AL5R3’s small footprint, low power consumption and high output power can serve multiple homes from a single receiver. The AL5R3 receiver is Plug’n’Play without the need for any manual adjustments. The AL5T3 compact series of transmitters are low profile and wall mountable providing a cost effective method of delivering transport for small and medium distribution systems where a traditional headend cannot be installed. 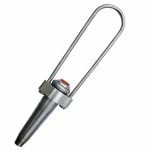 The AL5T3 compact series of transmitters can be deployed in applications such as small and medium MDU’s,and other types of applications. The AL5R3 is housed in a compact housing specifically designed for deployments where space is at a premium. The AL5R3‘s small footprint, low power consumption and high output power can serve multiple homes from a single receiver, making it an ideal solution for both small and medium deployments. The AL5R3 is a “plug and play” product without the need for any manual adjustments making installations quick and easy. See our Fiber Optic Products and Resources for more information about the products that Multicom can provide you with. From headEND-2-ENDuser, Multicom has 13,000 products from over 270 manufacturers – all under one roof. Over the past several years and with plans for the future, DIRECTV has added and will bring online additional satellite capacity to distribute an extensive amount of new programming content to subscribers including video in high definition format and interactive options. In order to accomplish these goals, the RF distribution of the content has changed significantly both in technology as well the type of architecture deployments in the Multiple Dwelling Unit (MDU). Early MDU deployments were accomplished by the use of one or two “stacking” schemes over copper based coax cable to accomplish a “single-wire” solution. 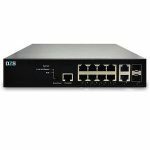 Today’s multi-polarity schemes and the widespread use of subscriber based Personal Video Recorders (PVR) have pushed the technology, primarily with regards to bandwidth and distance, beyond the practical use of these former legacy systems. Accordingly, new, cost effective systems are needed to allow for more efficient and intelligent use of bandwidth. MFH2 is an RF Distribution system that accomplishes just that. In brief, only the required amount of bandwidth and content is brought to the subscriber unit as needed as selected by the viewer. In addition, with MFH2 the traditional installed “home-run and splitter” architecture based on the use of industry standard, “off-the shelf” devices, can support the use of multiple tuners, either as set-top box, PVR or combination of both, with no additional customer required equipment. Most importantly, an MDU subscriber is afforded the same viewing experience, as well as the same consumer equipment, as a Direct-to Home (DTH) subscriber. 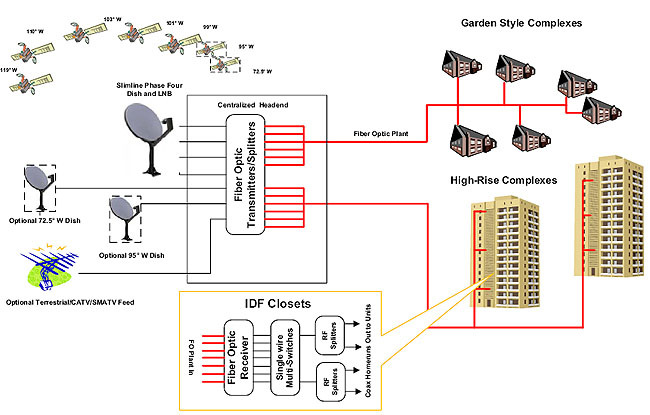 While the subscriber side of the system has been simplified, the transmission of seven or more satellites has actually increased the complexity of the MDU head-end in an effort to bring all this content out to the appropriately located “IDF” Closets within a High-Rise or Garden Style Multi Family Complex. In keeping with a growing trend, fiber optics is becoming the prime choice for such applications. Fiber allows for the use of enormous bandwidths and distances well of excess of those encountered in MDU applications. 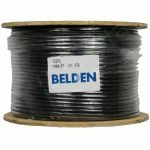 More recently, fiber and related equipment have become an extremely affordable choice when compared to the escalating material and deployment costs of copper based coax. In a typical MDU system, each of the 4 required stacks, and any optional satellite polarities and CATV/SMATV service, are converted into light and transmitted via fiber to each IDF closet within the building(s). At the IDF closet, the fiber optic signal is converted back to RF for input into a cascade of “Single Wire Multi-switches” (SWM) for distribution to each individual unit. The basic Fiber Distribution System consists of rack mounted fiber optic transmitters, fiber optic splitters and optional multiplexers, and wall mounted, multi-port Fiber Optic Receivers and associated racks, power supplies and accessories.